When Leo Messi wore the Barça shirt for the first time, it marked a before and after at FC Barcelona. The Argentine hasn’t stopped winning since making his debut on November 16, 2003, when Frank Rijkaard brought him on in a friendly match against Porto. Wearing the No.14, he replaced Fernando Navarro. 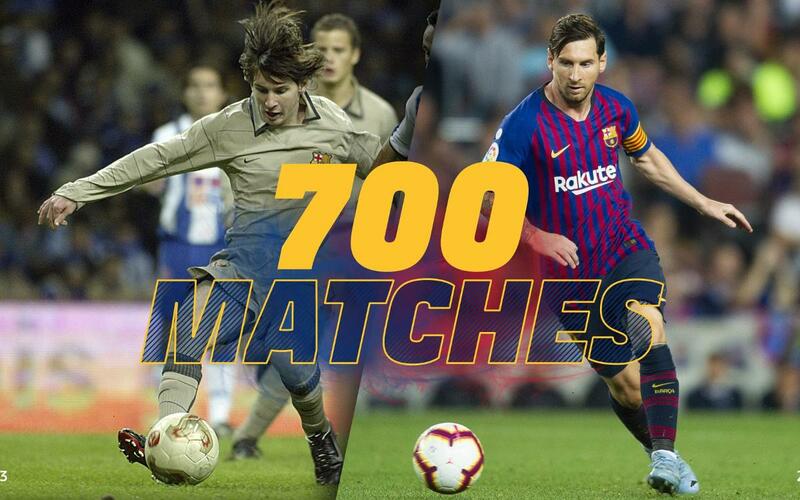 In Wednesday's match against Leganés, the now No.10 reached a unique and historic figure; 700 matches for Barça. Arriving in Barcelona at just 13 years old, Messi is on his way to breaking all records as a player at the club. Of the 700 games, Messi has played 424 in the League, 126 in the Champions League, 68 in the Copa del Rey, 18 in the Spanish Super Cup, five in the Club World Cup, four in the UEFA Super Cup and 55 unofficial matches. After his appearance against Leganés, he is just 58 games behind Andrés Iniesta. The former midfielder is only surpassed by Xavi Hernández, who leads this particular list with 869 games as a Barça stalwart. It should also be remembered that Messi is the player with the most titles in the history of the Club (33) ahead of Iniesta (32), Gerard Piqué and Sergio Busquets (both with 28).